Neither am I. But it’s time. So let’s gather the knowledge of generations, switch on the creative part of the brain, and come up with a list of cool marketing ideas for this year. Thanksgiving is a holiday that brings out the “good” side of companies. It is beneficial both for the society and for your own promotional purposes to volunteer. One does not contradict the other one bit, so why not do this on Thanksgiving? Choose a nonprofit where your employees can volunteer, take pictures, write about that on social media. Make your employees feel proud of themselves and let your customers know that your company is doing some good in this world. Thanksgiving is a holiday that reminds people why they love and care for each other. It brings families together and gives people the opportunity to voice their love. At least in theory. 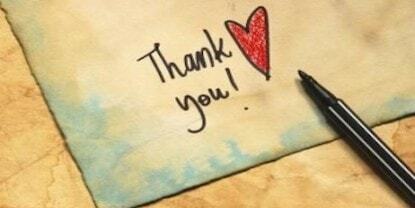 So create a list of N reasons your business is thankful this season and encourage your audience to do the same. Ask them to tag people they are glad to have in their lives. Don’t forget to post images alongside your article and ask for some lovely photos from your followers! If blogging or active SMM is part of your marketing strategy, create a guide. People are stressed and confused before holidays: presents, relatives, Amazon not delivering in time for Christmas… Many would love some help. In a guide, include your products alongside products from similar businesses. 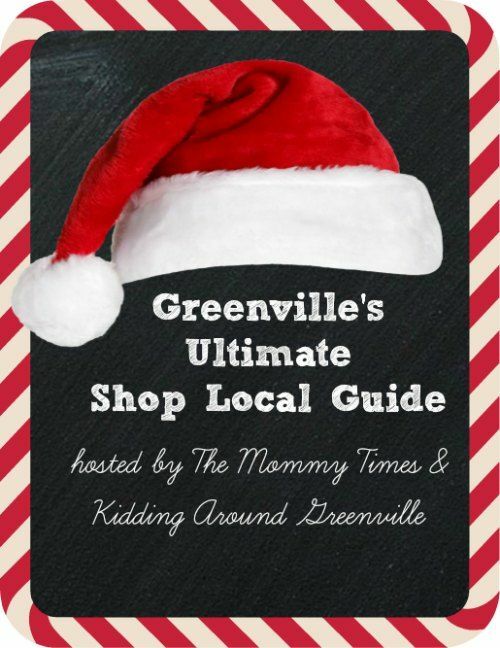 Don’t forget to tag the businesses you’ve mentioned so that they can share the guide on their social media pages. The key would be to promote the guide across all possible channels. It’s a good idea to introduce the “perfect gift” stand in your shop. Of course, only if what you’re selling can be used as a gift in any possible way. You could also combine with similar local businesses to make your product more of a gift. This basket or whatever you come up with for your customer’s mum/girlfriend/husband will ultimately increase your sales, because it’s an easy choice to make. We’re back to social media marketing. Instagram hashtag contests require people to post on Instagram using a specific hashtag in the caption. Make sure to use your brand name as part of a hashtag or the whole hashtag. The followers of your followers will see the contest and, hopefully, take part. You might’ve tried Twitter and Facebook contests before, as these are the most popular networks for businesses to be on and because they have the biggest audiences. This year go for Instagram. Instagram grew to be the most engaged social media platform – the exposure is bigger, and the chances people will take part are bigger. 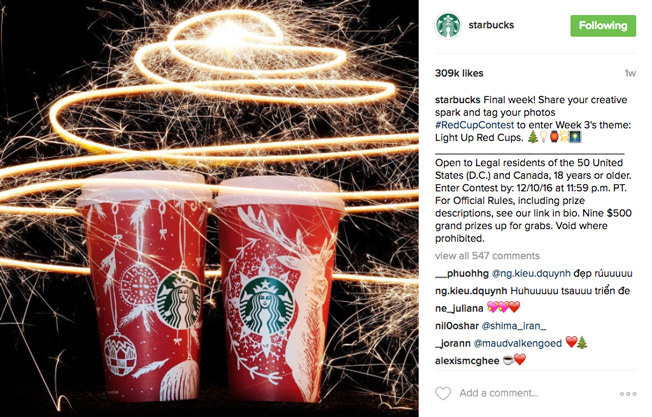 Of course, the chances for your contest blowing up on Instagram depends on your product. But there are loads of niches that are popular out there. They say best holiday social media campaigns attract people more than once. Or even every day. Here’s an example of an amazing multi-day giveaway calendar. Customers keep coming back because each day unlocks new prizes – and who doesn’t love relatively unpredictable prizes. You can come up with any rules of participation as long as you keep the multi-day idea live. It also doesn’t have to be a Christmas-themed calendar – although that’s definitely a good way to go. You can also try Black Friday: simply don’t stop at Friday and post a different discount each day for the whole week. As with the guide, you’ll have to dedicate enough time to promoting the giveaway. Don’t forget to start early with the promotion! People love quizzes. I couldn’t tell you why, except that it seems like a perfect way to procrastinate. While Buzzfeed and others feed on the pointless quizzes like “Which nationality are you REALLY?”, you can make one that is holiday-themed and do the same. Ideally, make one that is both your product- and holiday-themed. Such as, “What would be a cool gift for your son?”, “Which book should you get your mum this Christmas?”, “What kind of toy would you want if you were a kid?”… etcetera. According to Ivana Taylor, the publisher of DIY Marketers, the best promotion to do on holidays is to simply give customers money. Now that may sound ridiculous, but is actually quite logical. 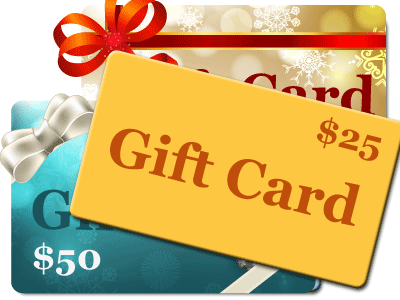 In the Christmas/Thanksgiving letter provide the customer with a gift card. Remember, it should be a gift card, not a coupon! If they come and spend less, give them change, but that doesn’t happen much. As to the value of a gift card, it can’t be something small or it won’t drive your customers out. Make it a significant number, something worth taking action for. Ivana Taylor suggests $25 if you’re a restaurant and 50$ if you’re a shop. So take the money you would’ve spent on advertising and use it to run this holiday campaign. The author of the idea also warns not to trade quantity of people for quality of a gift. That is you’ll be better off sending 100 letters with $50 inside than 1000 with $5 inside. The power of a handwritten card is seriously underestimated. In the modern world of online messaging, virtual presence and whimsical nature of everything, a handwritten note stands out in the best way possible. It makes your business seem real, personal, trustworthy. It can be more impactful in a long-term than discounts and gift cards. Dan Shewan, Web Content Specialist at WordStream, reminds you (and everyone else) to dust off your ad copy and create ads that are fresh, compelling, and topical. Holiday season requires some revisiting and rewriting. Preferably, in a holiday style. 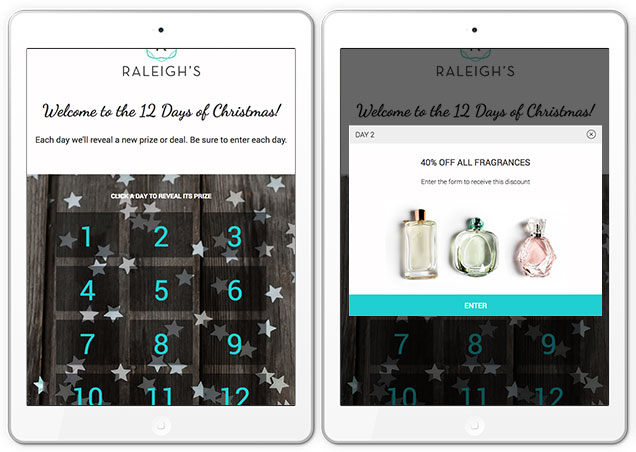 Including seasonal messaging tells your audience that your product or service is current, up-to-date, and, possibly, limited. … and get ready for the Happy Holidays!